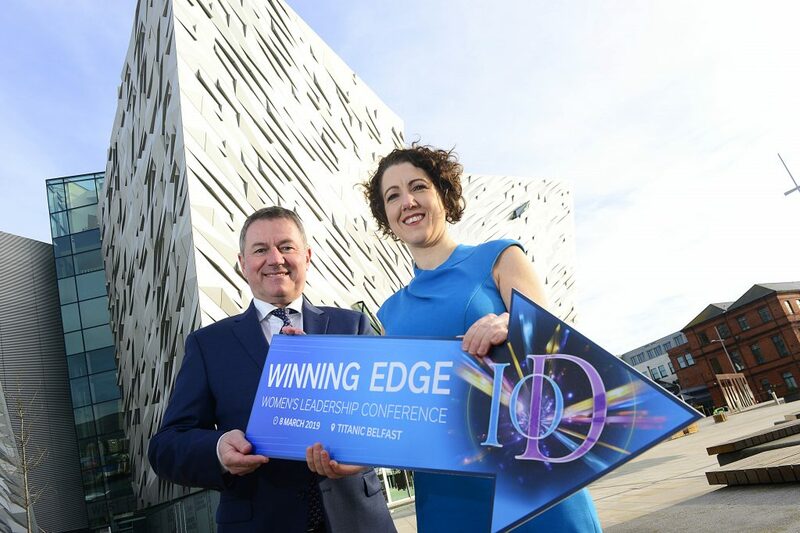 Business leaders will be inspired to aim for the ‘Winning Edge’ at the Institute of Directors Northern Ireland (IoD NI) Women’s Leadership Conference 2019. The leading business organisation has announced Riverdance co-founder Dr Moya Doherty as keynote speaker at the event, sponsored by Herbert Smith Freehills, which will take place at Titanic Belfast on 8th March, 2019. More than 400 delegates are expected to attend the conference which is open to both women and men. “Now entering its 12th year, the IoD Women’s Leadership Conference is one of the most keenly anticipated events on the annual business calendar and we are particularly pleased that in 2019, we shall be meeting together on International Women’s Day. “In Northern Ireland, many of our most successful businesses are led by women, making a huge contribution to the prosperity of the region. “It is clear they have the ‘winning edge’ and we look forward to joining with them and others at the conference as we aim to learn best business practice from each other and our stellar line up of speakers. Donegal native Moya Doherty, who chairs RTE, has enjoyed a successful career in theatre, radio and television production and presentation, both in Ireland and internationally. Other local and international speakers confirmed include Hilary McGrady, Director General of the National Trust; Sophie Cornish MBE, co-founder of notonthehighstreet.com; technology evangelist Dr Sue Black OBE and Clare Guinness, CEO of Warrenpoint Port. “We are delighted to add our support to the IoD NI Women’s Leadership Conference 2019 as its headline sponsor. “At Herbert Smith Freehills, we aim to lead the way in attracting, promoting and retaining women in business leadership roles as part of our commitment to inclusion across the spectrum of diversity. The conference will also provide an opportunity for local entrepreneurs to pitch for a £4,000 funding boost and bursary package for their business.